April Fools’ Day brings a lot of jokes and you especially have to be careful about what you take seriously on the internet. 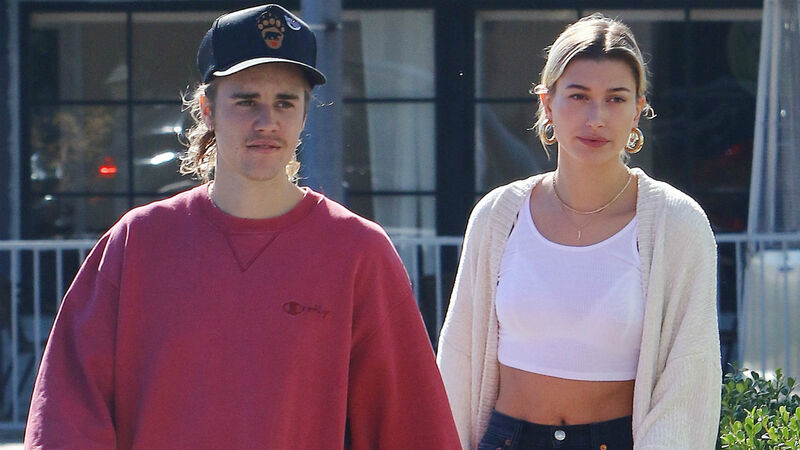 Well, on Instagram on April 1, Justin Bieber posted about Hailey Baldwin possibly being pregnant and let’s just say what appears to be nothing but a joke isn’t going over well with many people. As you can see below, the singer first shared an image of a sonogram without any caption, which led many to believe that Baldwin might be pregnant with Bieber’s, her husband, child. Baldwin commented on his first post with the Instagram, “Very funny…”, which seems to suggest that her supposed pregnancy is nothing but a joke. As pointed out by Billboard, fans shared on Twitter that the first sonogram photo posted by Bieber appeared to be the same image used for Wikipedia’s entry for ultrasound. Neither Beiber nor Baldwin have officially confirmed that the singer’s post was simply a joke for April Fools’ Day. If he truly is joking, well, people aren’t happy, and understandably so. After scrolling through Twitter, below is pretty much the consensus of how people feel — angry. As someone who had their fertility taken away from them because of ovarian cancer, I don’t find @justinbieber ‘s April Fools pregnancy joke, funny at all. I think it’s insensitive and immature. But that’s me. For many women, getting pregnant is a struggle. Furthermore, there are also those who deal with pregnancy loss and infertility issues, like Gabrielle Union, who has been extremely open about undergoing several rounds of IVF and having multiple miscarriages while trying to conceive with her husband Dwyane Wade. Eventually, Union and Wade used a surrogate to have their first child together, a daughter named Kaavia James, who was born in November 2018. Union isn’t alone, as Courtney Cox recently opened up about enduring miscarriages and using IVF to conceive her daughter, Coco, with ex-husband David Arquette. During her new Facebook Watch web series, 9 Months with Courteney Cox, which follows 10 couples with vastly different pregnancy experiences, she said in February, “I had a bunch of miscarriages. But I was lucky enough to have my little girl, Coco, who I had through IVF.” She even recalled how painful and emotional the experience was, but now she couldn’t be more thankful to have Coco in her life. Whenever someone makes a joke about being pregnant, whether it’s on April Fools’ Day or any other day of the week, well, it’s upsetting, not to mention insensitive. Many men and women want to have children, but they can’t. To some, joking about having a baby might be funny, but it’s best to remember that trying to conceive can be an actual struggle that can also cause both physical and emotional pain. The hopes of having a child isn’t a laughing matter, especially to those who want to become a parent so badly. If Bieber really is joking about Baldwin being pregnant, which it seems like he is, let’s hope he recognizes his mistake in turning pregnancy into an April Fools’ Day joke and apologizes for his insensitivity.